The U.S. Embassy in Montenegro was attacked with an explosive device around midnight local time on Wednesday. The attacker, who has been identified as a 43-year-old former Serbian soldier named Dalibor Jaukovic, was the only casualty. The Associated Press describes Jaukovic as an “ex-soldier decorated by former Serbian strongman Slobodan Milosevic after NATO’s bombing of Serbia and Montenegro in 1999.” His Facebook profile included a photo of a plaque honoring him for fighting against NATO forces that appears to have been personally signed by Milosevic. “Many in Montenegro remain opposed to the country’s NATO membership because of the air war the alliance waged to stop the war in Kosovo when Montenegro was still part of Yugoslavia,” the Associated Press notes. Also strongly opposed to NATO membership for Montenegro is Russia, which was accused of using operatives in a failed 2016 attempt to overthrow the government. The Kremlin denied these accusations, while the Montenegrin opposition claimed the accusations were a ruse to keep the ruling party in power. Police sources said Janukovic had Montenegrin citizenship and no criminal record. 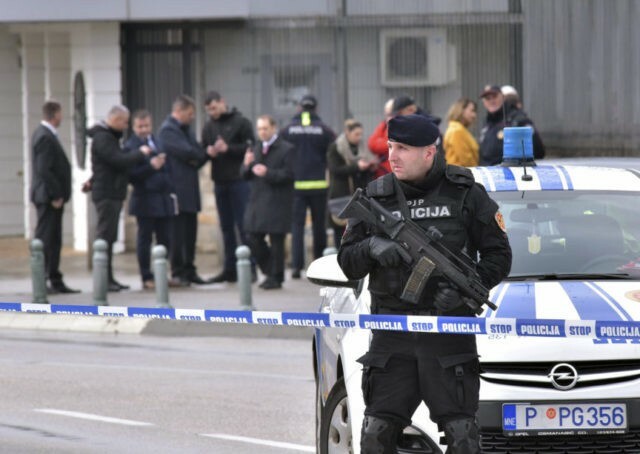 The police are not currently treating the attack on the U.S. Embassy as an act of terrorism, and believe Janukovic acted alone. Friends of his family said they were uncertain what might have motivated him to bomb the embassy. Although early reports implied the bomber killed himself by accident, the latest police statements indicate he deliberately committed suicide with a second explosive after throwing a bomb over the embassy walls. The blast reportedly created a small crater on the embassy grounds but inflicted no significant damage to the building and did not harm any of the staff. Many reports describe the weapon Janukovic used as a “grenade,” but that might be used as a generic term for a thrown explosive device, rather than indicating it was a military-issue hand grenade.